In recent years, the mesenchymal stem cells (MSCs) have provided the new opportunities to treat different disorders including infertility. Different studies have suggested that the MSCs have ability to differentiate into germ-like cells under specific induction conditions as well as transplantation to gonadal tissues. 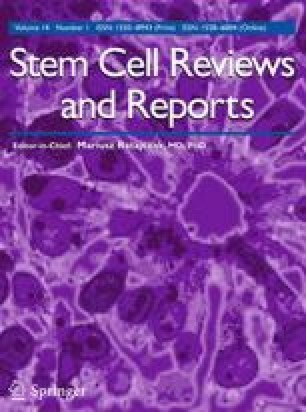 The aim of this systematic review was to evaluate the results obtained from different studies on MSCs therapy for promoting fertility. This search was done in PubMed and Science Direct databases using key words MSCs, infertility, therapy, germ cell, azoospermia, ovarian failure and mesenchymal stem cell. Among the more than 11,400 papers, 53 studies were considered eligible for more evaluations. The obtained results indicated that the most studies were performed on MSCs derived from bone marrow and umbilical cord as compared with the other types of MSCs. Different evaluations on animal models as well as in vitro studies supported from their role in the recovery of spermatogenesis and folliculogenesis. Although the data obtained from this systematic review are promising, but the further studies need to assess the efficiency and safety of transplantation of these cells in fertility recovery.